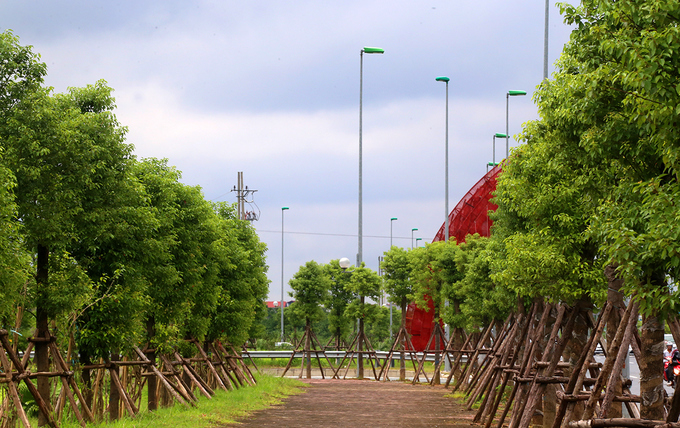 A sea of green awaits after you touch down at Noi Bai airport. 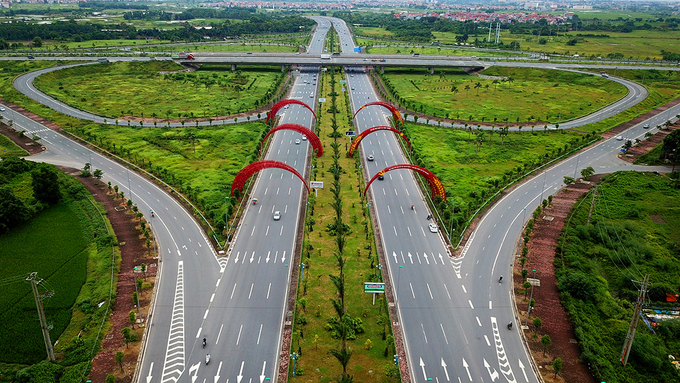 Vo Nguyen Giap Street was opened in January 2015, stretching 12 kilometers (7.5 miles) from Nhat Tan Bridge to Noi Bai International Airport. 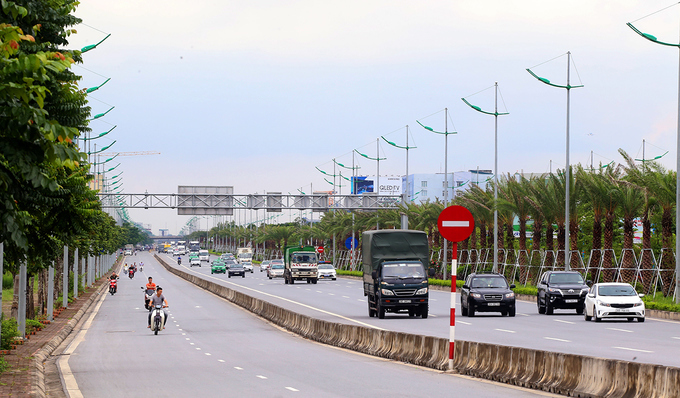 The VND6.7 trillion ($295 million) road is one of Hanoi's main arteries from the airport to downtown Hanoi. 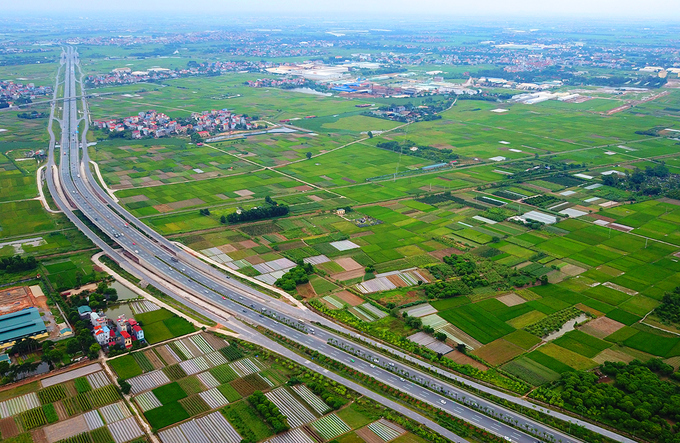 The road has six lanes for cars with a speed limit of 80 kilometers per hour. 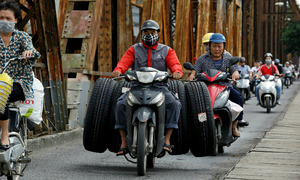 It also has outer lanes for motorbikes and non-motorized vehicles with a speed limit of 40 kilometers per hour. 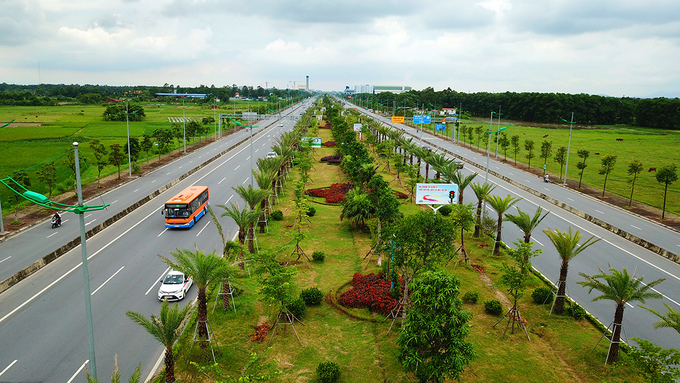 It has taken two years to finish planting the trees on the road's central reservation. 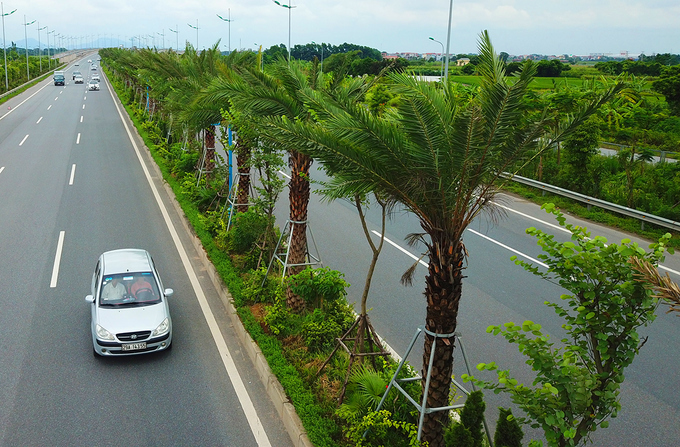 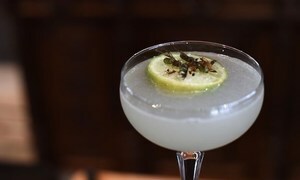 Five different species have been planted to give the road a tropical flavor. 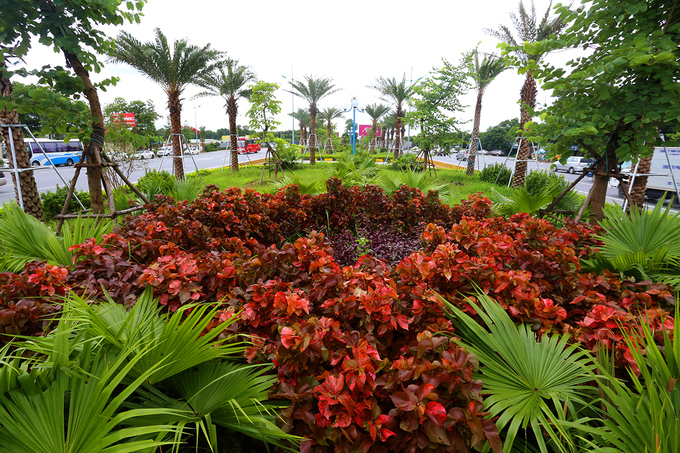 Colorful ornamental plants arranged in a star shape are surrounded by mango and palm trees, with orchids and camphor trees interplanted along many sections. 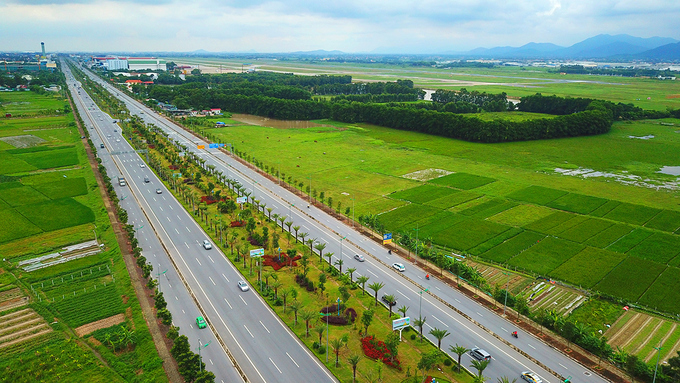 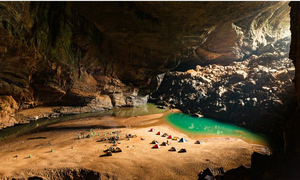 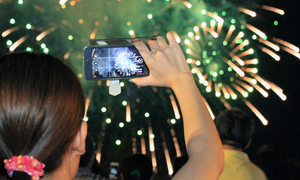 The project is part of Hanoi's plan to plant a million trees between 2016 and 2020, according to Vu Kien Trung, general director of the Hanoi Green Tree Park Company. 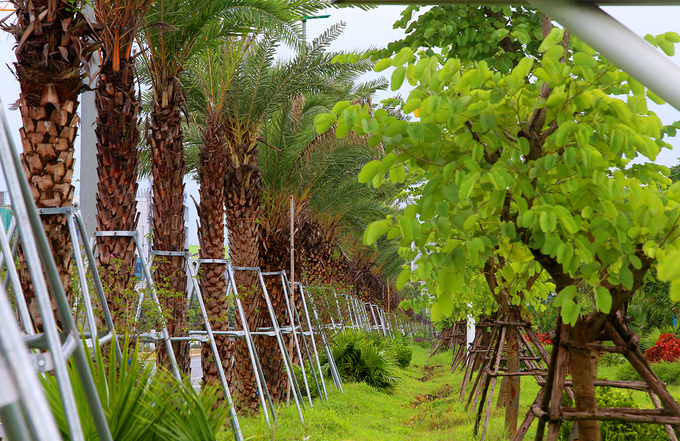 More than 2,500 camphor trees, 1,000 orchid trees and thousands of date palm trees are thriving along the road. 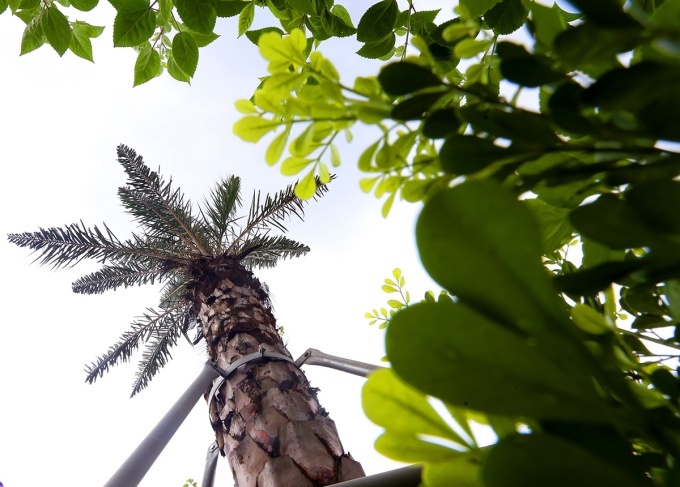 Date palm trees are easy to care for as they grow slowly, have thick, strong roots and are rarely attacked by pests and diseases, according to experts. 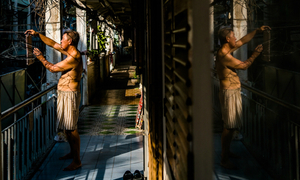 The sidewalks along the road have also been lined with 5-meter tall trees to provide shade.